Your Retinue’s morale is judged by each unit’s Courage. The various troop types in the game have differing levels of bravery, and must take a Courage test when they’ve taken casualties, when they try to rally, if your Leader is killed or flees, when your army has lost half of its units, or in other frightening situations. An unsuccessful Courage test sees the unit rout from the battlefield or become Battered (making them useless until they rally), depending on how badly the test is failed. The more damage a unit has taken, the harder the test becomes: you must subtract 1 point from your Courage test for each casualty your unit has taken in the game. 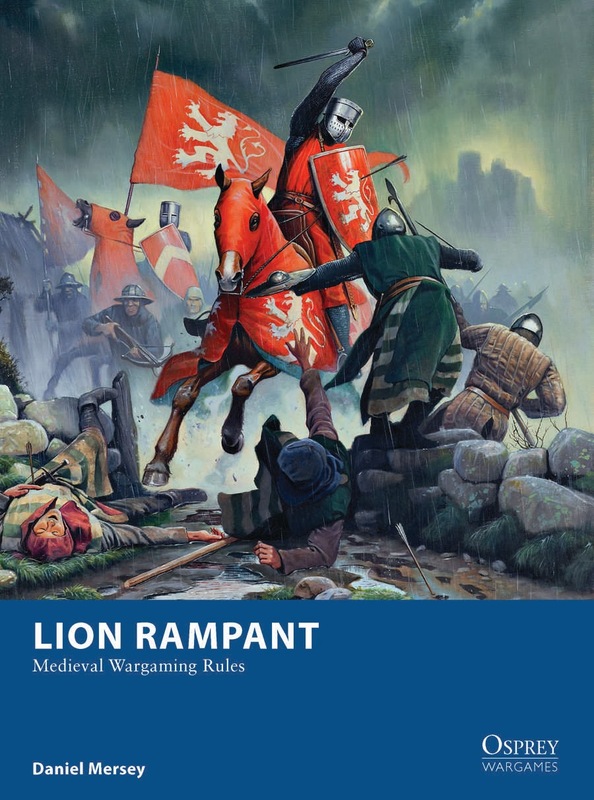 As with combat and shooting, using fixed unit sizes means that casualties can be built into the gameplay mechanisms rather than keeping paper records or resorting to unwieldy lists of modifiers.